Haiz ! unbearably hot ! Looks like this cheesecake cupcake is going to melt ... hee hee ! After baking a batch of Red White and Blueberry Cheesecake, I left with about 140g of cream cheese in the fridge. Saw 3 small packs of mini Oreo cookies on the dining table, GREAT ! 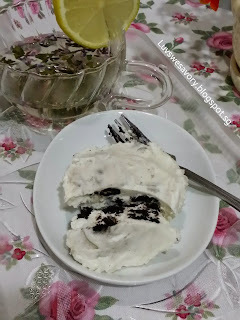 Just in time to make NO BAKE Oreo cheesecake. The reason why I didn't want to bake .... cos the weather is Scorching Hot lately ! Lol ! Anyway, I quickly took out the bookmarked easy no-bake oreo cheesecake recipe. Decided to forgo the topping as I don’t have enough Oreo cookies. Below my slightly modified version as I've reduced the amount of icing sugar and added more lemon juice. 1. Line cupcake pan with liners. Place an Oreo slice cookie (without cream) each at the bottom of each liner. 2. Beat the whipping cream until soft peak. And set aside. 3. In a bowl add in cream cheese, icing sugar and lemon juice. Lemon juice is added because: the acid thickens the filling and it tastes better. Stir until well combined. 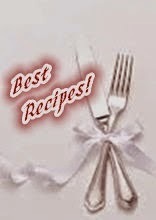 Add in whipped cream and whisk until same consistency and well mixed. 4. Finally add in crushed Oreos and lightly stir to combine. 5. 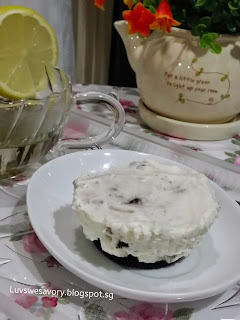 Fill each cupcake liner with the batter, using an ice cream scoop. And with the back of a spoon, press a little and make the top smooth. Chill them in the refrigerator overnight. The texture is creamy soft yet not too dense ... with an unexpected tweak of sweet fragrance coconut delight and lemony taste. I like it ! My big boy liked it too ^-^! He gave a big thumbs up ! Linking this post to the Best Recipes for Everyone May 2015 Event (Theme: My Favourite Desserts) organized by Fion of XuanHom's Mom and co-hosted by Aunty Young. Surely and hope you like it ^-^! I have never seen coconut Oreos before! Did not even know about it! The flavours they come with nowadays! Your little cheesecake do not look ugly to me, they look deliciously creamy! And the lemon juice must have added extra citrusy flavour to it, I like! Thanks for your kind words Joyce. The packaging looks same as normal Oreo with very small print of 'coconut delight'. My big boy bought these new flavour Oreo. long time didn't buy Oreos. 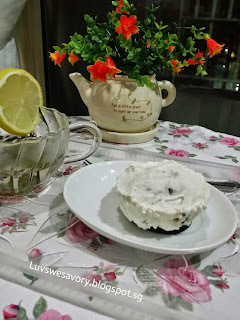 Tempted with your Oreos cheesecake but on sugar diet...lol! Karen, at least you and your boy enjoyed the cheesecake cupcakes! Yes, glad that he finished most of them as my girl didn’t like it. Ha ha! I didn't know either, I thought the normal Oreo. ... my boy bought this coconut flavour. Funny that you said that your cheesecake look like they are melting in the hot weather... No lah. They still look intact to me. I'm sure they will melt if you put them on my feverish forehead... LOL! hi karen! it's also very hot here, i feel like i'm melting too...sweating here and there! i also nvr come across the coconut flavoured ones, i may like them too. 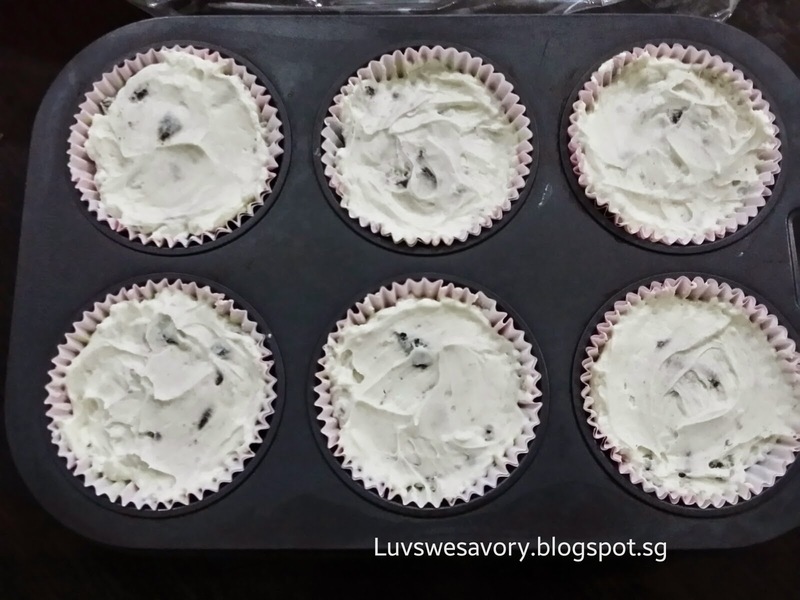 Thanks for linking another bake with us! It's my pleasure too, able to bake along with you all ^-^! Hi Karen, your cheesecake looks really nice! I was surprised to discover mildly sweet oreo original but not the coconut one. Will look out the next time I go supermarket. Yes there are quite a few new flavours. Do check it out on your next grocery shopping ^-^! I found this coconut flavor Oreo last week in one of the newly open supermarket here. 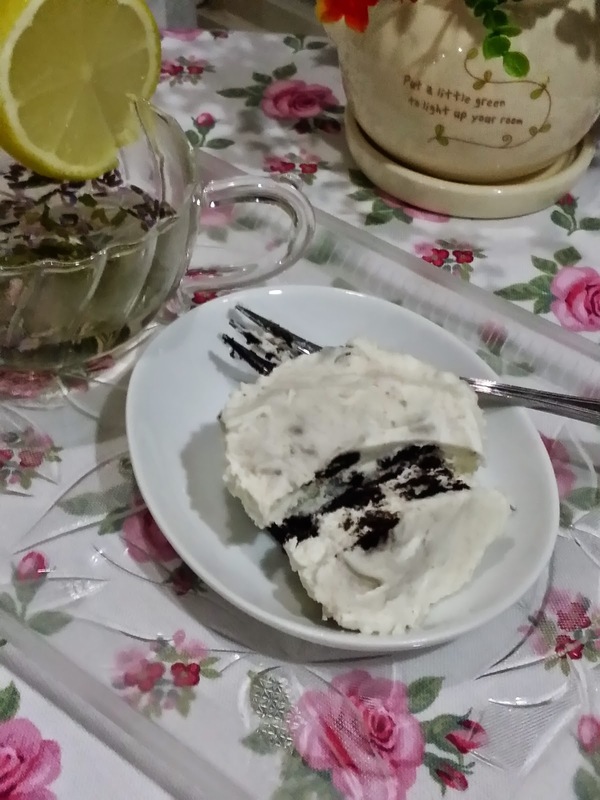 Yes it's not bad actually just that I'm not sure if the taste match ... coconut + cream cheese. Glad it tasted good too ^-^!